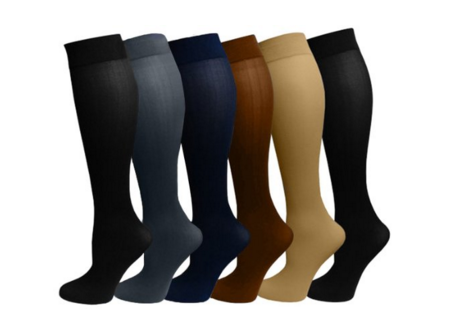 You wear compression stockings to improve blood flow in your legs. Compression stockings gently squeeze your legs to move blood up your legs. This increase in blood flow can aid or prevent symptoms of pain. If your doctor has prescribed you compression stockings or find yourself in need of compression stockings, you should visit us for more information! Book an appointment and our staff can assist you with ordering the perfect size stocking.